Proud Franco-Ontarian, Dominique Souris is truly an inspiration for any and all Canadian youth. Recently listed as one of Canada’s Top 25 Environmentalists Under 25 by The Starfish Canada, I had the opportunity to catch up with this incredible leader to learn more about her, her story and how she got started on her journey to becoming the environmental warrior that we see today. The Starfish Canada is a nonprofit organization that celebrates young environmental leaders through storytelling and connecting young Canadians together. We annually run our Top 25 Environmentalists Under 25 program to recognize change-makers across Canada. We have partnered with Alliance2030 to showcase how these leaders are continuing to affect positive change from coast to coast to coast. We met up at Impact Hub, a company that provides and supports local start-ups by offering them a place to work, in downtown Ottawa; the city in which Dominique was born and raised. She had just finished an important business meeting and had a quick forty-five-minute break to chat before she had to get back to work. Here is the story of how this inspiration got started. In Grade 11, Dominique had to complete an Independent Study project where she picked bottled water as her topic. As she learned more about the industry, she was hit with how bad it was (and still is!) for the environment. The problems linked to bottled water were numerous and varied, including ethical concerns surrounding the sale of water and the concept of “The Commons”, as well as the environmental side of it, especially the plastic waste being produced. This project was the wake-up call that pushed her into environmentalism. Dominique’s interests had thus been piqued by the concepts of water governance and water management. Upon completing high school, she was selected to attend the University of Waterloo, focusing on the social aspects of the environment in the Bachelor of Environmental Studies programme. True to form, Dominique was quickly heavily involved in environmental issues and movements on campus. In her third year, alongside a group of Waterloo students, she made the decision to attend the 2013 United Nations Climate Change Conference (COP 19) in Poland. Both incredibly frustrating and inspiring, COP 19 ended up being a key event in Dominique’s life. On the one hand, she was able to rub shoulders with amazing people from all over the world who were passionate about the environment and doing incredible things. On the other hand, she was faced with many barriers stemming from her age and her status as a student. She was often made to feel left out and ignored by the very decision-makers she had come to meet. While this would discourage many people, this instead sparked a fire in her. When she got back to Canada, Dominique started working on her undergraduate thesis. She was tackling climate change loss and damage at a financial level in countries that were unable to combat the effects of climate change. Her research led her back to COP, this time, the 2015 conference in Paris (COP 21); however, before she went, she reached out to many of the very nations she had studied in line with her work to see if she could offer her support, and got recruited by the Seychelles! She hence went from being sidelined at COP 19 to being a part of the delegation for the Republic of Seychelles at COP 21! Her time in Paris served to further inspire her into the next steps that she should be taking. After completing her undergraduate degree, she pursued postgraduate studies at the University of Waterloo, this time transferring to the Balsillie School of International Affairs, where she studied Global Governance with a focus on Climate Finance. Her Major Research Project focused on the role of innovation in dealing with the financial burdens that climate change places on low-income countries. During this period of her life, Dominique was extremely busy. She was a fulltime student, yet heavily involved with leading climate change adaptation strategies and efforts. 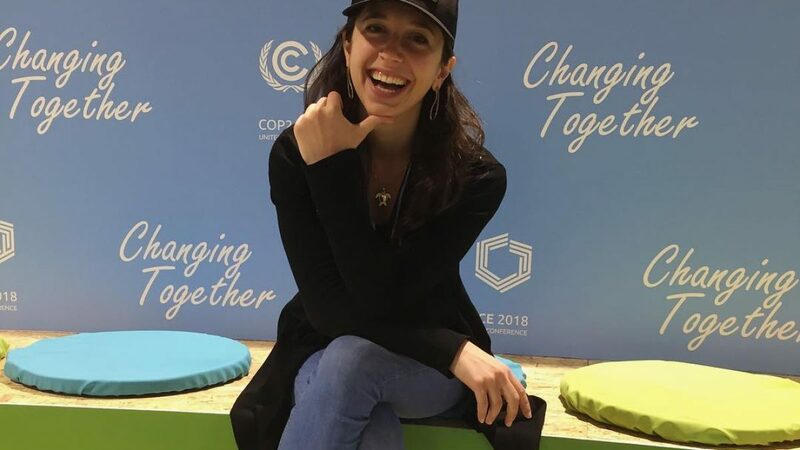 She was volunteering with YOUNGO, the Youth Constituency of the United Nations Framework Convention on Climate Change (UNFCCC), and travelling the world. It was actually in Australia that she formally launched her organization with her partner, Ana Gonzalez Guerrero: the Youth Climate Lab. The Youth Climate Lab is a global non-profit startup that seeks to: (1) support young (under 30) people who are doing innovative things to combat climate change; and, (2) create innovative models that engage young people with the political process. Even while being a Masters student working on the Youth Climate Lab, Dominique has already established phenomenal projects (read more here: http://thestarfish.ca/journal/2018/7/2018-sftop25-finalist-dominique-souris). Now that she has done her studies, finishing up her Master’s in October 2018, she is dedicating all of her time and energy to her organization – and, according to her, we can expect some pretty incredible things soon. Young. Intelligent. Passionate. Canadian. Dominique is simply a force to be reckoned with and a woman to be respected.